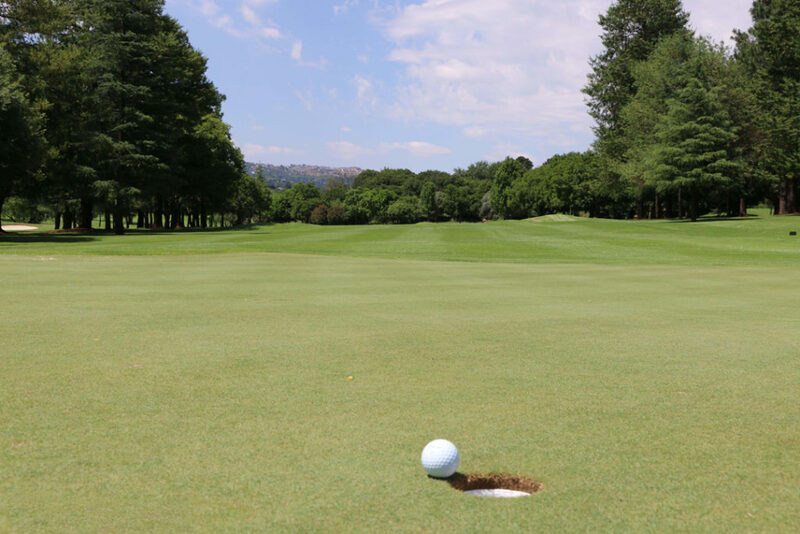 I took the picture below on the 10th green at Randpark Golf Course yesterday. If you are a golfer then the image will immediately trigger a memory of one or more times where you almost made it. Golfers lose their minds when this happens – and when you watch golf on TV you will hear a very loud and distinct sound from the crowd when someone comes this close to holing a putt. There is something inexplicably provocative about being so close that you can literally smell, touch and see the desired result but just can’t quite seem to get it. Every single one of us can resonate with ‘almost but not quite’. This picture represents the moments where you very nearly achieved your goal, or very nearly reached your sales target, but unfortunately it didn’t go your way. When they looked at the picture, they reflected on the shot that preceded that result. However, had they looked at the picture and contemplated the next shot the answer would be different. In golf as in life, the only thing more important than the shot that has just been played is the next one. In fact, the great Ben Hogan said, “The most important shot in golf is the next one”. I don’t know what kind of year you’ve had, but the most important question right now, is, what’s your next move? Now is not the time to dwell on the misses and the almosts. With certainty and definiteness of purpose, execute your next move, and then the next one, and then the next one and very quickly, you’ll be moving expeditiously towards your vision again.